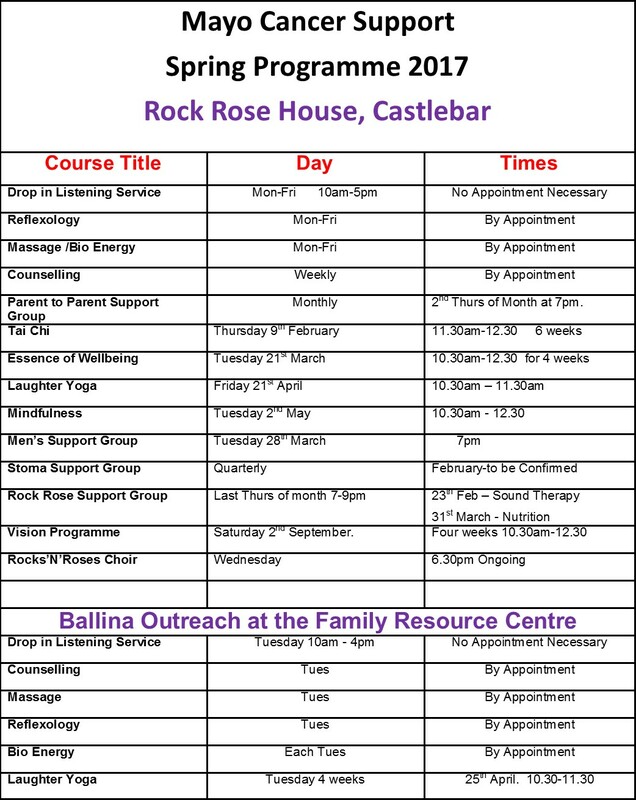 The Spring Programme is beginning at Rock Rose House and at our Outreach in the Family Resource Centre in Ballina. 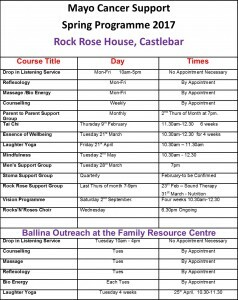 If you would like to book a course please call 094 9038407. You are also welcome to drop in for a chat and a cup of tea, we are open from 10am -5pm Monday to Friday.